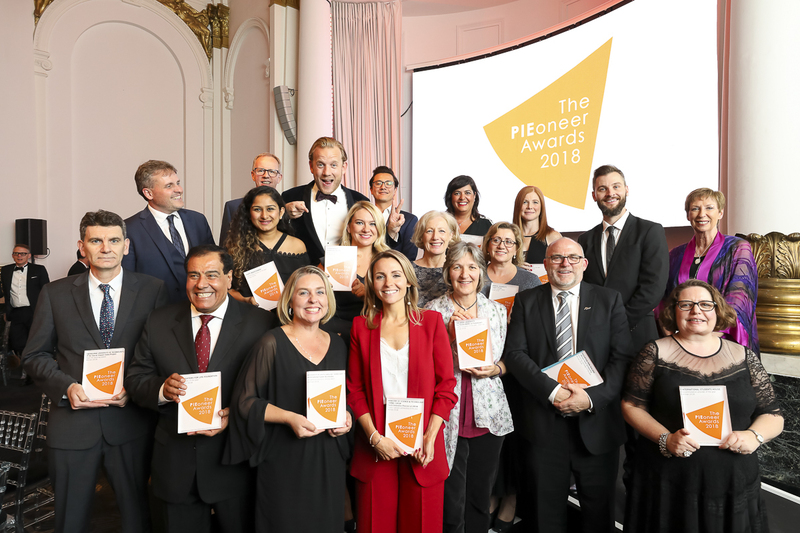 Launched in 2017, The PIEoneer Awards are the only global awards that celebrate innovation and achievement across the whole of the international education industry. 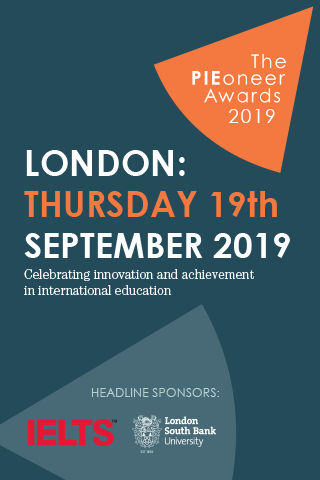 With a distinguished judging panel representing geographical and professional diversity, The PIEoneer Awards recognise both individuals and organisations who are pushing professional standards, evolving their engagement or redefining the international student experience. The awards are designed to be accessible to all types and sizes of organisation. It's not about having the biggest budget either - if you are innovating in your field, please nominate yourself and showcase the work you're doing with the resources available to you. There are 16 categories in total and you can nominate yourself or another organisation in up to three categories. The closing date for entries is 26 April 2019. The shortlisted finalists will be announced the week of 27th May, and the winners will be announced at the awards ceremony being held in London on 19th September. Most of our sponsorship packages are now sold, but if you're keen to get your brand in front of our global audience of influencers and decision makers from across the sector, take a look at our sponsorship media pack and email melissa@thepienews.com for the latest information on what is available. 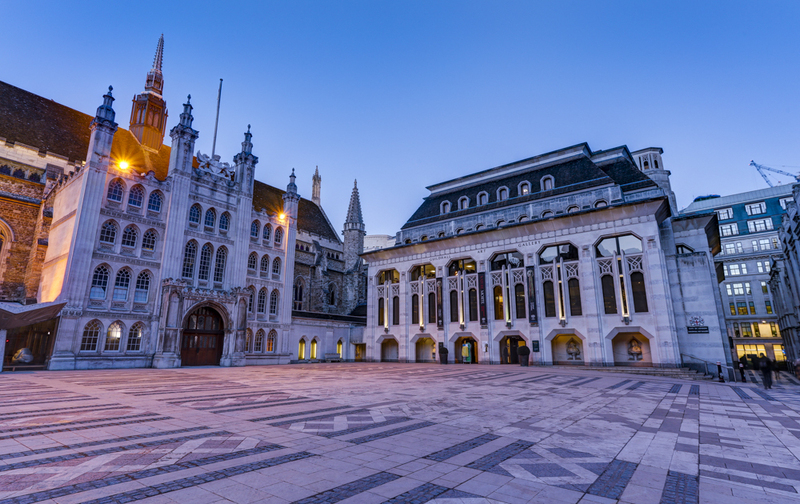 Accommodation providers who believe they should enter this category might be a university’s own estates department, a property management company, accommodation investment company, host family organisation or property development portfolio. The key to winning this award will be to demonstrate a pro-active effort to provide services that are specifically designed or oriented to an international student audience. Do you cultivate a mixed placement of international and domestic students to help facilitate integration? How do you reach and ensure appropriate provision for international students? What about considering the social life of international students, what social spaces are provided, how do you listen to student clients, and understand what they want? As accommodation is becoming as competitive and wide-ranging as the education sector it supports, we’re keen to honour those who can show high levels of international student satisfaction. What makes you, as an association, vital to your membership? Is your advocacy action gaining traction? Do you represent and campaign for a collection of companies or organisations that would otherwise be un-unified and unrepresented? What have you achieved for your members, in terms of cohesion, engagement with students, or with government or the general public? We’d like to hear about much of the commendable (and often, unpaid) work that happens within associations to augment the interests of their members which operate in the international education industry. International education and study abroad experiences can be life-changing but also expensive. How does your company, agency, school, college or university help to encourage students from backgrounds that are traditionally less likely to lead to study abroad participation? Do you have a scholarship scheme? How does it work? Do you make an effort to encourage ethnic minorities to study abroad? What about families from financially disadvantaged backgrounds, or refugee students whose lives are on hold while they live in an unfamiliar country? We are keen to hear about successes in widening participation/diversity that you may have achieved. Using technology to lead learning, or implementing online or blended modules, can have a significant impact on the way teachers teach and students learn. What we’d like to uncover is an innovative use of technology which has a clear success story on its impact for international students. We're keen to hear how a new digital innovation is solving a problem faced by professionals working within the international education sector, perhaps using software to better identify international students who need extra support, or to reach and identify potential students in their own country while they are considering their study options. There are many more examples though and we look forward to hearing about them. 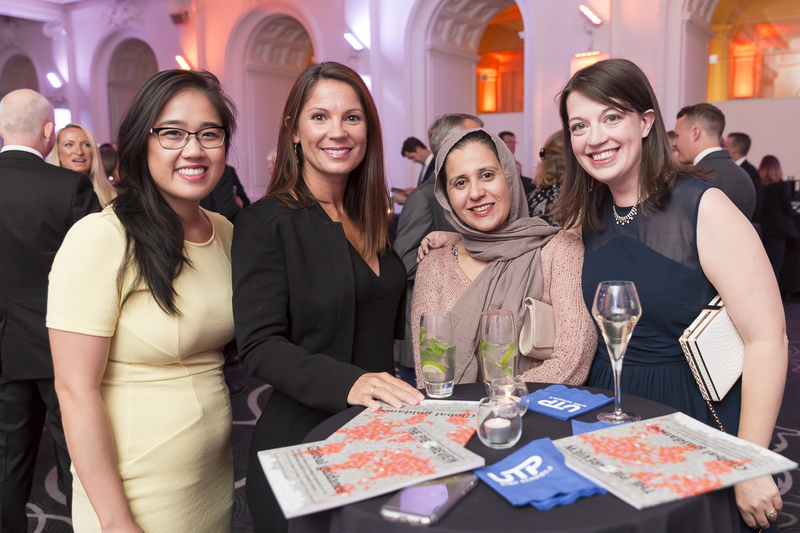 Education agencies are a vital part of the international education industry and essential partners to educators, reporting on local student trends and market factors quickly, and helping shape the evolving international education market. Many are run by innovative business people who have evolved to offer language testing, visa counselling, study abroad fairs and non-education related travel advice and products. 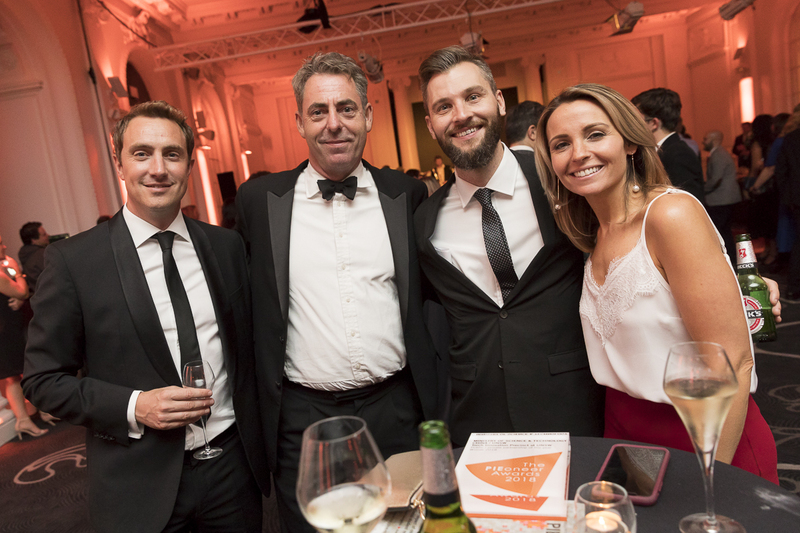 This category is an opportunity for agency directors to submit their own entry, or for schools, colleges and universities to nominate an agent partner for the award. We want to hear about exceptional service, innovative collaborative campaigns or beyond-the-call-of-duty support for student clients. Other ideas for nomination-worthy agencies include those trying new ideas to recruit students in a depressed market, or those building productive relations within their domestic agency industry or with embassies in their country. Expansion into new territories or new product lines will also be considered as innovative. There are many great examples of international students who have made a huge contribution to either their institution and/or the wider community in which they live. We’d like to hear examples of super assimilation and inspiring achievement. The award will be presented to the host institution of the student if they are not able to attend our awards event in person. Alumni must have graduated from 2015 onwards. This is a chance for K-12 educators, who specifically serve the 11-18 year old age range, to showcase the work you're doing to support your international student body. Any type of K-12 institution teaching 11-18 year olds is welcome to enter, as long as you have a minimum 10% students whose parents primarily reside overseas or who would be considered expats in-country. We want to hear about how you’re innovating the delivery of learning and support of international students to ensure their experience is first-rate, and that they leave your establishment ready for further education or the world of work as global citizens. In this category we want to hear from language providers who are going the extra mile to provide international students with a stand-out experience, whether they are studying for one week or one year. How do you ensure students are engaged and motivated for the duration of their course? How do you tailor your provision so that students have support that is specific to them? Do you facilitate interactions with your local community so students gain confidence speaking to people outside of your institution? 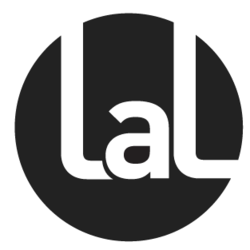 Even if you have a limited budget available to develop course materials or invest in your facilities, we want to hear about how you are innovating the student experience to deliver an exceptional level of service to your students, so that they develop their language skills alongside becoming confident communicators. Public/private partnerships have been one of the defining trends of the last decade, with assets such as recruitment expertise or tech capabilities around remote delivery of education making private sector operators strong partners for universities and colleges, which are seeking to expand and innovate, and may wish to leverage the expertise of private companies. Some partnerships take more subtle forms, such as market-entry facilitation via a specialist company or the white labelled outsourcing of accommodation or conversion activity. We’re keen to hear about some of the many successful partnerships and their achievements that occurred between 1st January - 31st December 2018. In this category we would like to know about inventive and inspirational marketing campaigns from across the sector, that deserve recognition for their reach, success, message or impact. Campaigns can have been run by any type of organisation operating in the industry, such as education providers, agencies, or a service provider offering support to the sector via language testing, housing support or insurance for example. In this category, we accept nominations on behalf of others. We are looking for nominated individuals who have helped evolve or shape the international education sector. They do not have to have worked in the industry for a minimum period, but their influence in the field and how the international education industry has developed as a result of their work must be clearly evidenced. 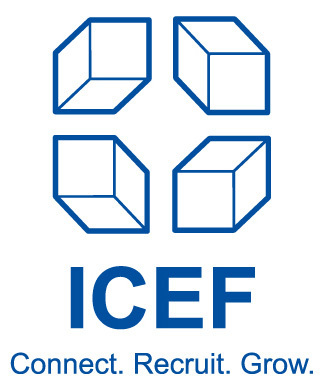 This award is open to both organisations and individuals who can demonstrate their commitment to improving some facet of the international education industry. This could be: a new program, service, charitable mission, agent relations, quality accreditation, marketing, teaching, social engagement, visa advice, widening participation, recruitment or retention achievement, career planning etc. 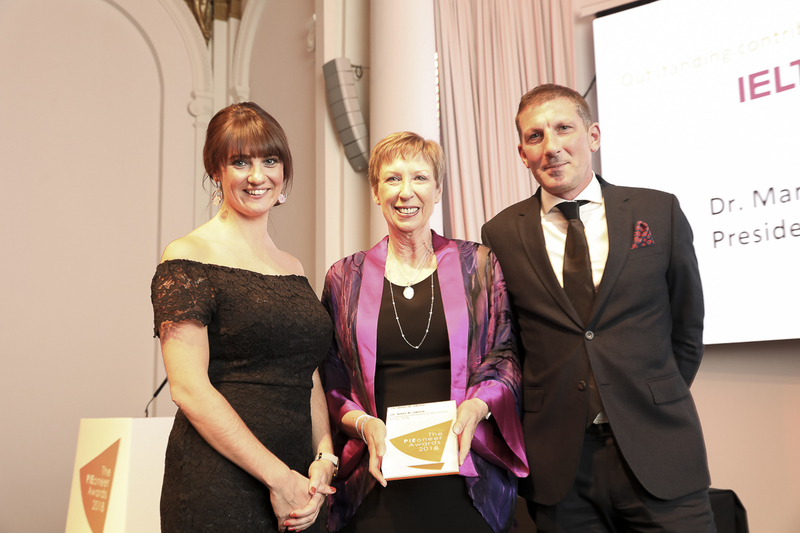 There is no timeframe around this award, it can be awarded to an organisation or person who has been working on their nominated project, business or idea for more than one year. Entrants in other categories can enter this category, which is considered the ‘crowning achievement’ award, if they believe their entry demonstrates genuine change and innovation that can impact the wider industry. How does the way you teach work? How do you ensure your students significantly gain in confidence in speaking a new language and have a workable language use, rather than just learning to pass a test? How do you ensure your pathway program prepares your students for success: not just matriculation to a degree program, but for a rewarding degree education that they fully profit from and succeed at? And at any education level, have you developed a program that is brave, different, and focused on the student’s life journey in the 21st century? In this category, we’re keen to hear from educators that believe they offer something that is unique, important or successful for some reason. In this category we’d like to hear from organisations who offer real life learning programs or products overseas, comprising for example a short-term study abroad program with an outside classroom element; volunteering program or internship. How do you approach the placement of students to ensure a good fit on both sides? How do you go the extra mile to ensure students are well-supported throughout their program and once it finishes? What positive impact does the program or product have on the local community or organisation where the student is placed? As increasing numbers of students are seeking learning experiences that take place beyond a classroom, we are keen to hear about the innovative work being done in this sector of the industry. What has your company or institution set in place to ensure that international students feel welcomed, meet domestic students and are able to assimilate successfully? Lunch clubs, education programming that necessitates co-working with partners, SMS helplines, specific activities for international students such as away-days, Meet-the-Mayor initiatives, mentoring, buddy-systems. There are a myriad of initiatives around the world and we would love to hear about the success of yours in this category. You don’t have to be an educational institution but you have to have developed a product or service that is primarily targeted at international students.